This is a Fancy Shawl Outfit I made for my 3 year old little girl. 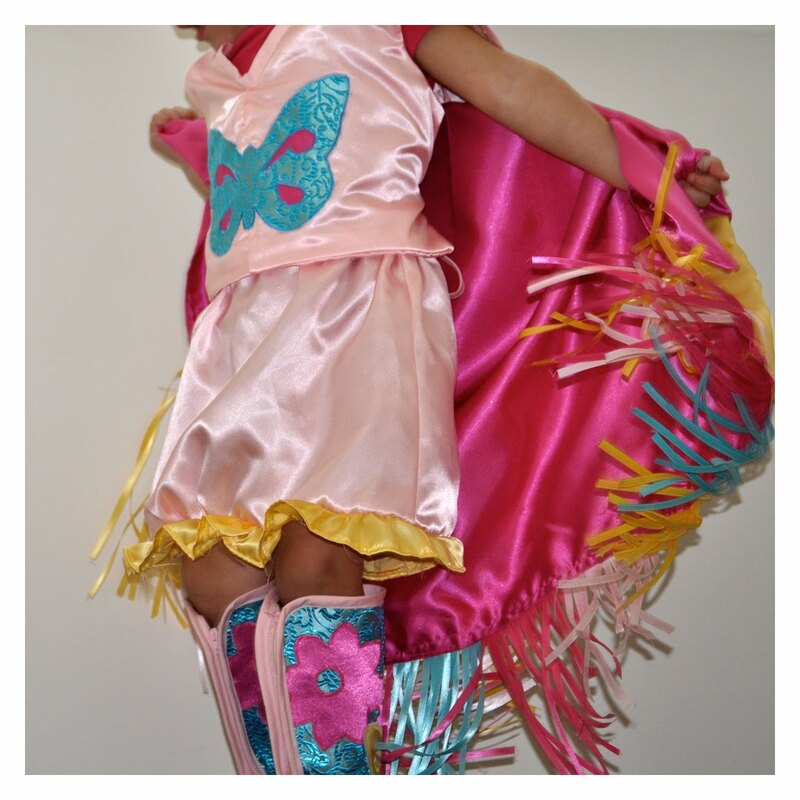 She always wants to participate in the Pow Wows, and I thought it was finally time to make her very own Fancy outfit. 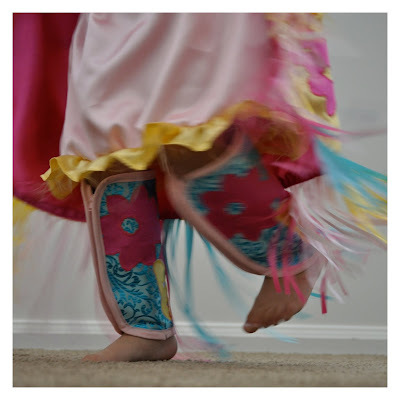 The Fancy Dance is a very popular dance and is one of my favorites to watch at the Pow Wow. I was taught that this dance depicts the movements of a butterfly...so I thought a butterfly was fitting for the theme of the outfit! 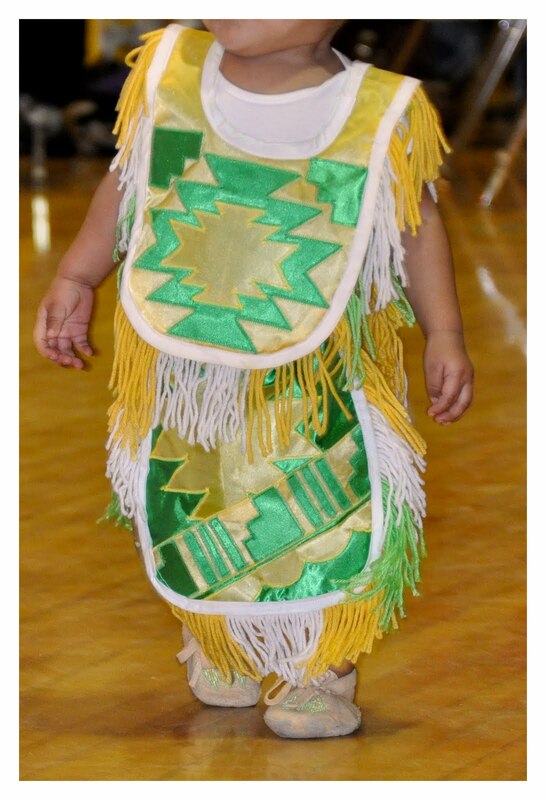 The Vest/Cape ties in the back allowing for longer wear even as she grows. This outfit is mostly made out of a satin-type of fabric. I think the sheen is great for Pow wows. Her shawl has a cute glitter on it. 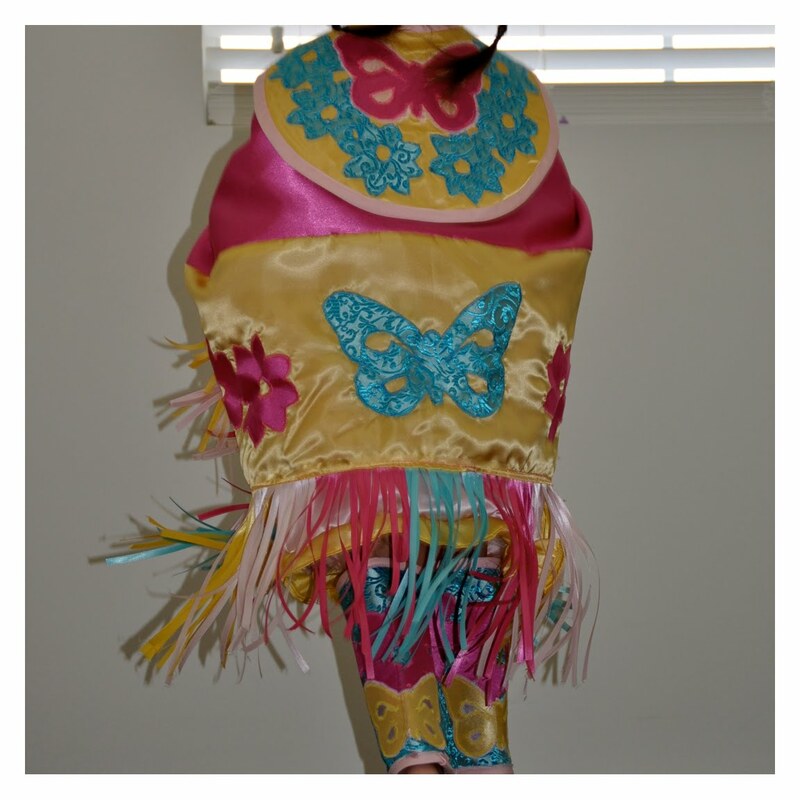 All designs were applied using appliqué and then machine-stitched on.